The ARS-2016 (Mains) Examination will be conducted on 08.07.2017. Candidates are advised to read the notification carefully before filling the Online Application Form. For ARS-2016: A candidate must hold a Master’s Degree or equivalent in the concerned discipline with specialization as defined in Appendix-VI, completed on or before 08.07.2017. 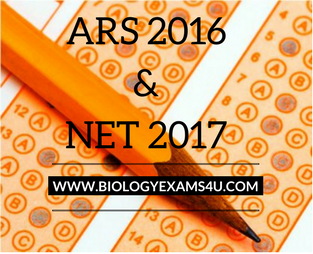 For ARS-2016 A candidate must have attained the age of 21 years but not have attained the age of 32 years as on 01.01.2017. Age relaxation is admissible to the various categories as per Rule 2 of the Rules of the Examination as given in APPENDIX –IV. For NET (I)-2017 :A candidate must have attained the age of 21 years as on 01.01.2017. There is no upper age limit for the National Eligibility Test. How to apply: A candidate seeking admission to the examination must apply online in the prescribed Application Form available on the website: http://www.asrb.org.in.